It's not surprising to find that your valued iPhone data, such as reminders, get lost somehow. You may mistakenly delete them at some point without notice. Or these iPhone reminders were missing after a virus attack. Whatever the reason, if you are the one who gets into iPhone reminder loss as Sophie; this article offered to restore reminders from iCloud is of great help for you. 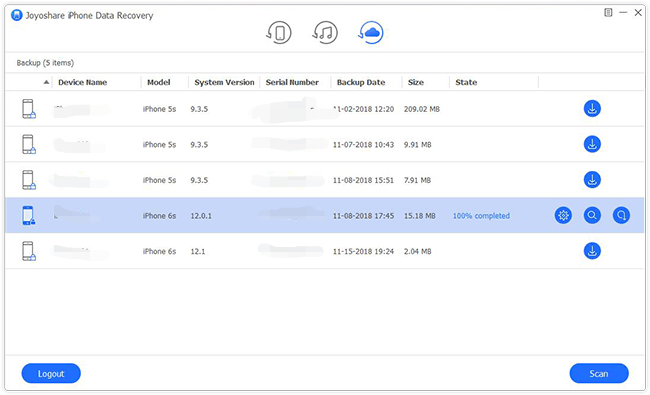 Joyoshare iPhone Data Recovery is highly recommended here as a simple yet professional iCloud backup extractor, which can be adopt to recover deleted iPhone reminders from iCloud backup in an absolutely safe manner. It allows you to connect multiple iPhone devices at the same time and help to scan more than 20 kinds of iOS data at an amazing speed, including reminders, photos, videos, notes, calendars, call history, Safari bookmarks, Kik/WhatsApp/Viber messages, etc. Most of all, it will not overwrite or damage your current data on iPhone. What you have to do is just connect iPhone, scan data and recover reminders. It's also possible to preview recoverable results in real time and retrieve items fully or selectively. 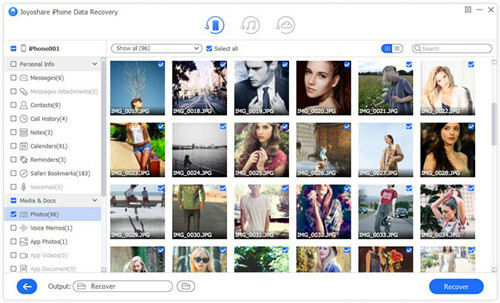 Next we will take a Windows version as example to let you know how to use Joyoshare iPhone Data Recovery clearly. It only requires 3 simple steps and guarantees high success rate. Here's what this program can do for you. The one who has iCloud backups and has synced them to computer can directly open Joyoshare iCloud Backup Extractor. 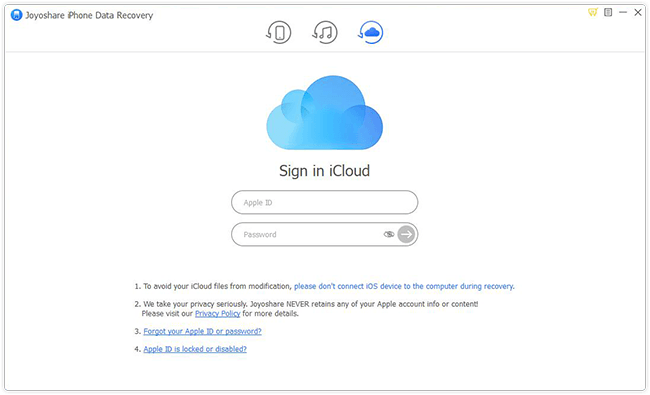 Then switch the recovery mode to "Recover from iCloud" and sign in iCloud account as the request. You have to enter random code if Apple's two-factor authentication has been enabled on iPhone settings before. 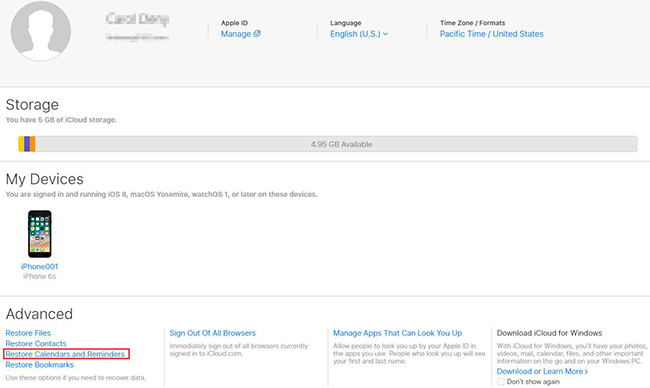 After the successful login, this program will detect and display all created iCloud backups for you to choose. 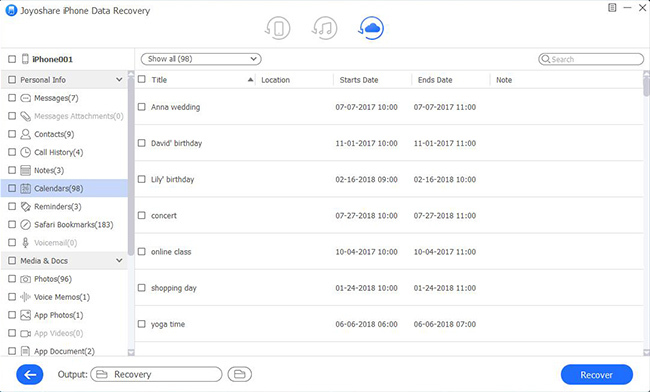 Just select the most recent and relevant one, download it, mark "Calendar & Reminders" data type and click on the "Scan" button to start to fetch lost or deleted reminders from iPhone iCloud backup. It will take a while to complete scanning iCloud backup. Afterward, all results will be classified to different categories. Preview them one after another in real time, tick needed items and simply press the "Recover" button to restore and save to computer. To apply this way, you must have backed up iPhone reminders to iCloud and enabled "iCloud Backup" option on settings. However, what you need to bear in mind is that when you go to restore data from an earlier version, the version you select will replace the existing reminders, calendars, contacts, etc. on all your iOS devices. If you don't mind, you can get started now. Step 4: Click on "Restore" button to confirm again and wait for the recovery ends. Note: Once you restore an earlier version of your reminders, iCloud will cancel and recreate all scheduled and upcoming events. Worse still, the sharing settings will get erased as well. Likewise, another option gives you access to recover reminders on iPhone via iCloud backup. 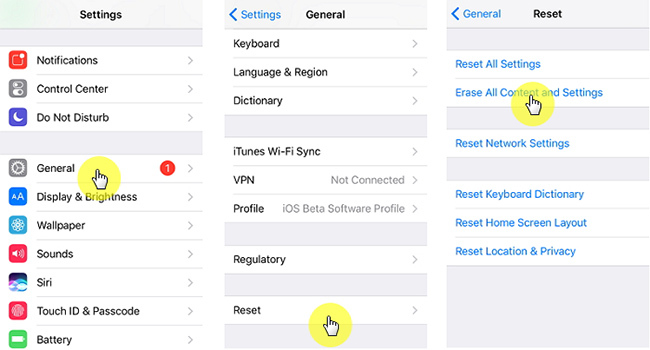 You ought to turn on "iCloud Backup" option on iPhone settings before reminders loss. Similarly, this method cannot empower you to only recover reminders and will overwrite all existing data. Step 3: Simply hit "Restore from iCloud Backup", log in iCloud account and select one backup to restore.